Topspin: Honda of the string market. For the past couple weeks I have been play testing a variety of strings and come to one major conclusion. No matter what kind of string you prefer Topspin will have a string for you. 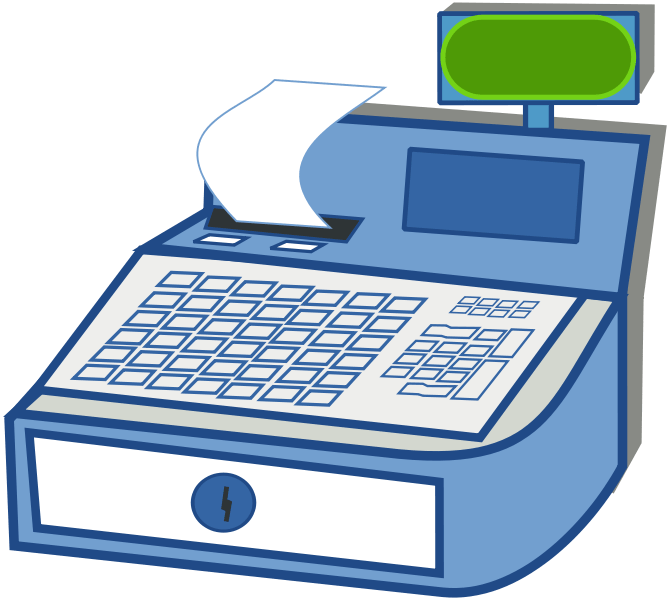 When I wanted to buy a new car I started looking at the different options and I kept coming back to Honda for their reliability, variety, and cost effectiveness. Now that I am looking at strings I see a parallel with the Honda car brand and the Topspin string brand. Topspin, is a German company established in 1987 with the concept, “by real tennis players for real tennis players” They wanted to create the best possible equipment for every player. The initial object was toughness, functionality, and durability. They started making high-end polyester based strings. I first found Topspin when I was in college and fell in love with the blend of power, durability, and tension maintenance provided by Topspin Cyberflash. In addition, it was half the price of the over hyped string I was using before. After learning that Topspin had many other great polyester based strings, multi-filaments and synthetic guts, I new I didn’t have to go any further in my search for the perfect strings. I immediately went to my favorite website www.thetennisdepot.com, that carries the entire Topspin line, and ordered a variety of their most recent polyester strings. I play tested the most recent additions to their line, Cyber Black, Cyber Blue, Cyber Red, and Cyber Whirl, and found each to be a great new addition to their already quality line. Black, Red, and Blue were similar strings with good power, soft feel, and good tension maintenance. I found that out of the three Cyber Black was my favorite. It seemed to have that extra feel I needed when really swinging out. It also felt fresh after two weeks in my racquet. Cyber Whirl was my personal favorite out of the bunch. It was an octagonal textured string that played as well or better than another very well known rough co-polyester string that costs almost double the price. From the first hit, I new I had found my new string. It was crisp yet soft, powerful yet controlled, and gripped the ball like a high-end multi-filament string. Playing with Cyber Whirl one would think they were driving a high-end sports car while paying the price of an economical family sedan. Polyester is not the only strings Topspin produces. They offer multi-filaments, Fiber Touch and Energy, and solid core strings, Titen Fiber, as well for blending or to stay away from polyester all together. Going back to my car analogy, Topspin has the variety in strings and materials, quality of the product and economical prices that make it a top company like Honda. Topspin is a must for any pro shop or private stringer. With www.thetennisdepot.com being such a great website to do business with I find myself recommending it more and more as my favorite string choice. This past week, Topspin released 4 new co-poly strings. This December, Topspin will be releasing a fifth string, Cyber Twirl. A pentagonally shaped string that is twisted pretty much summarizes what Cyber Twirl is. Can you say Topspin is on a roll? We sure think so. A fantastic co-poly string that will awe many players. Currently Cyber Twirl comes in black and white; however these colors will not be available here in the states.. Instead, Topspin Gmbh has decided that Cyber Twirl will be released in an exclusive red color which will be available to North American consumers. The new Cyber Twirl Red is slated for a release in sometime December. Stay tuned on our blog for more articles and previews for new products. New Topspin Strings Now Here! A slew of brand new co-polyester strings from Topspin are on the horizon and will be available very soon in the U.S.A. As a matter of fact, a limited amount are already available on our website. Famous for the popular Cyber Flash, Topspin is raising the benchmark once more with 4 new co-polys. Already with 3 fantastic co-poly strings in its arsenal (Cyber Flash, Cyber Blue, Concept Pure), Topspin is launching a new line of hi-performance strings. With our usual fashion, The Tennis Depot will be the first retailer to offer these terrific strings to consumers. 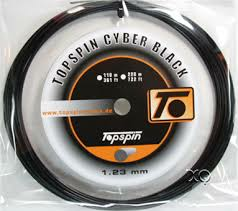 Topspin Cyber Black 1.23- A very soft and forgiving co-poly, Cyber Black offers a great mixture of solid control with perfect power. In addition, players will find lots of feel and very good spin potential. The thin diameter allows for greater ball bite. Topspin Cyber Red 1.24- Using modernized manufacturing procedures, Topspin has created a co-poly string that not only offers very little string movement, but in addition supplies the player with adequate power and plentiful control. Baseline players will find great access to spin. Topspin Cyber Whirl Octagonal 1.27- This 3rd generation co-poly string features an octagonal profile offering exceptional spin. According to Topspin, players will find faster ball speed and control will be at its best. Overall, a very soft forgiving co-poly with plentiful bite. Comes in orange color. Topspin Cyber Whirl Pentagonal 1.24- Through an unique extrusion process, Topspin was able to produce a new pentagonally shaped co-polyester string offering massive spin and control. With very little string movement and superb durability, Cyber Whirl is a great string for hard hitters. Comes in black color. As you can see, all four of the new Topspin strings will offer something unique in their own way. Be sure to check our blog periodically for more informative news, tips, and product previews. For more information on the new Topspin strings, please the Topspin string page. As always, if you have any questions, please post them below in the comments section. The Tennis Depot is happy to announce our alliance with Alpha Tennis. We will be launching a new image for Topspin with great new strings as well as some other products such as training aids and racquets. We are also happy to announce the launch of www.topspintennisusa.com. You will find some interesting information there plus a list of distributors and dealers. Our alliance with Alpha Tennis has now enabled us to open up a sponsorship program. A list of requirements are on the website. We also invite stringers, coaches, pro shops, and online shops to request dealer info. There are excellent opportunities available with Topspin. Please be sure to contact the proper distributor. As always, if you have any questions or comments, feel free to let us know!